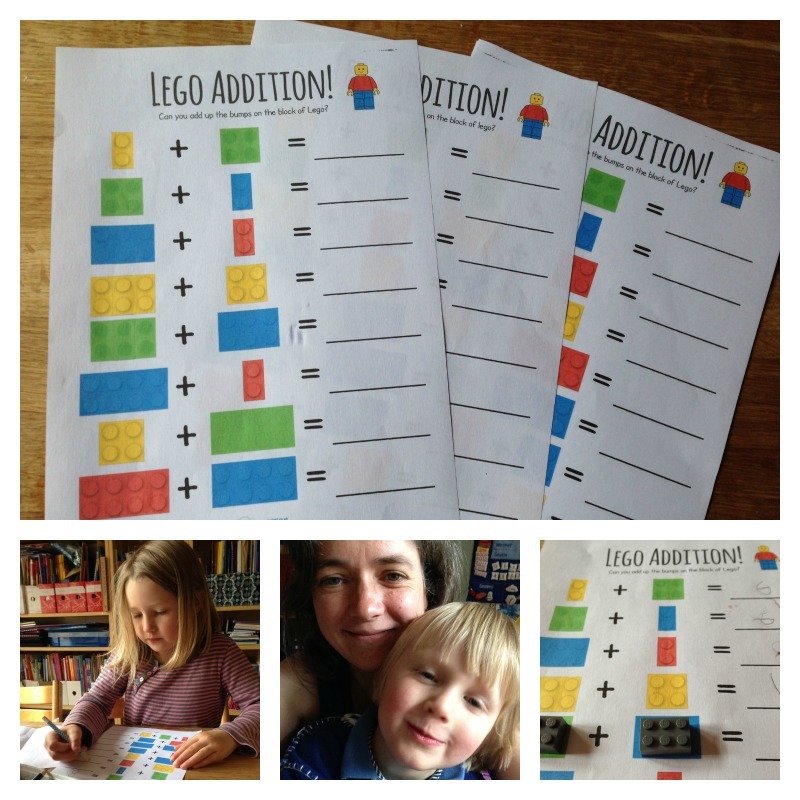 Maths that involves Lego is always popular in our house, so I was very pleased to see these Lego Addition worksheets available on Twinkl. I printed out a selection of them, and though I was mainly aiming the activity at the younger children I guessed that the big boys would want a go too. Rabbit worked through two sheets very quickly and easily, so even for her I will need to devise a harder version. The big boys did a sheet each for fun, and I have suggested they might like to make some more up, so perhaps they can do some for Rabbit. I wasn’t sure if Tiddler would want to do it, but in fact he was very keen and it was perfect for him. He was very happy sitting on my knee, matching real Lego bricks with the ones on the sheets and carefully counting the bumps. I was very impressed by his counting, as he did them all with only one or two mistakes. I had to help him with the writing – he is very confident writing one and zero, so he loved it when the answer was 10! I wrote the other numbers for him and he traced over them. 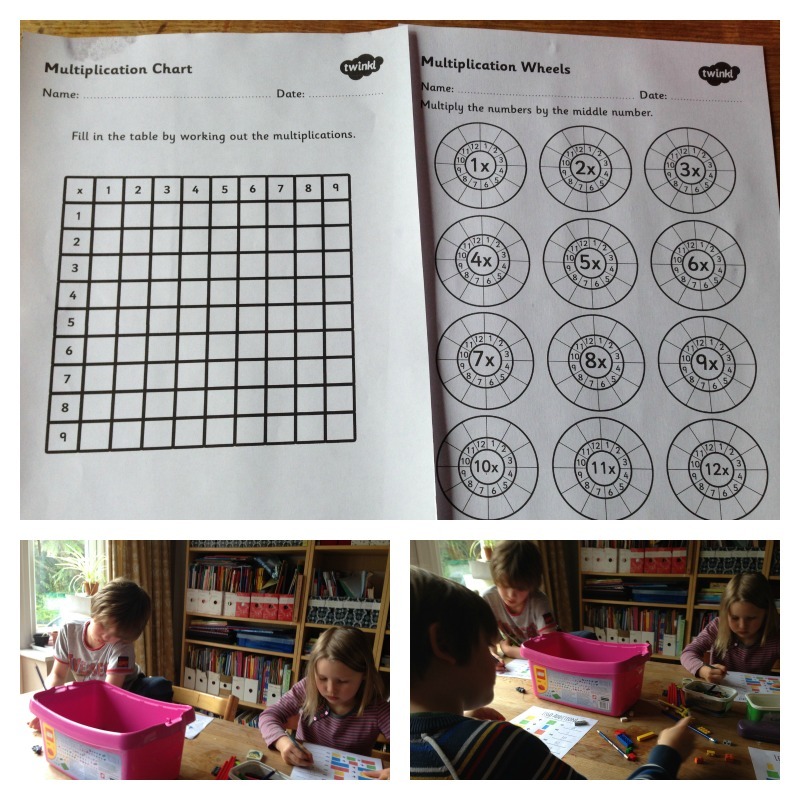 I had also printed off some multiplication worksheets for the big boys, as we have been working on times tables recently, and they did those as well. It was a very successful afternoon, with all four children working happily alongside each other. Even though I was feeling really unwell at the time, I had one of those moments when I felt like I was looking from outside and realising how lucky I am. People often ask me how I manage with so little time for myself, and it can certainly be hard to get anything (other than education) done. But really I know it’s the best way for us. I wouldn’t miss this for the world. 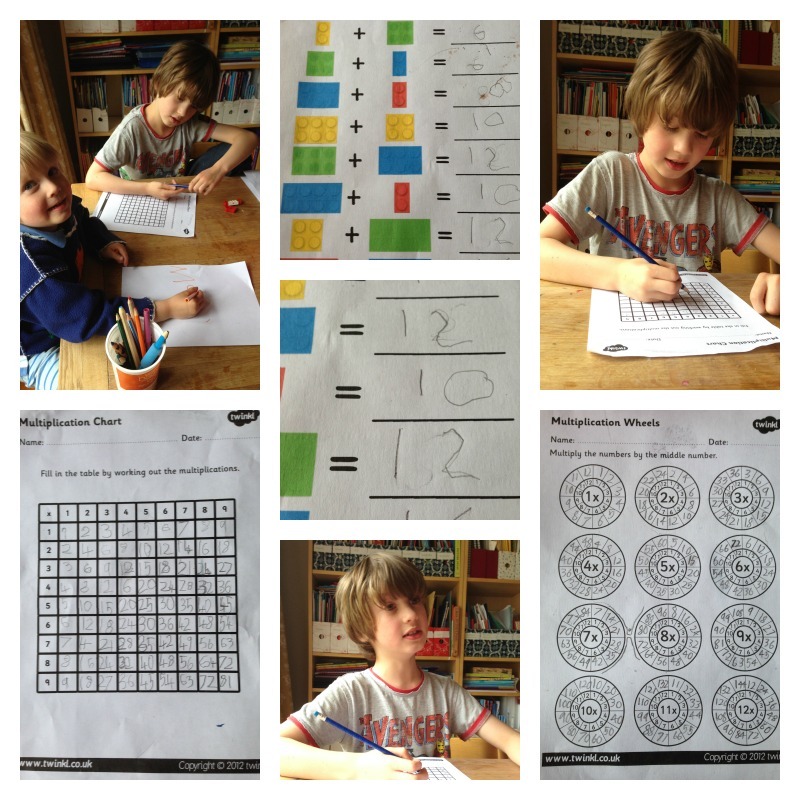 This entry was posted in Maths and tagged lego, Maths, twinkl on June 6, 2014 by Hannah.